Here at JJ Septic Service in Knoxville, Tennessee strives on our incredible experience, skills, and training. Our impeccable expert team knows the ins and outs of the septic system. No project is too big or too small for us. Our services are budget-friendly and we only produce high-quality work. JJ Septic Service in Knoxville, Tennessee always honor and respect timelines. We understand that you live a busy life, and we don’t want to get in the way of that. We will follow deadlines to the absolute best of our abilities. We work diligently to produce marvelous results and our reputation speaks for itself. Choosing a septic company can be overwhelming. You try to search online for a sterling septic service and the list goes on and on for different services. It’s essential to have these services done right the first time, so a good company is an absolute must. You don’t have to look any further. We at JJ Septic Service in Knoxville, Tennessee strive to make sure every customer is happy with their end result. We offer many exceptional septic services here at JJ Septic Service in Knoxville, Tennessee. 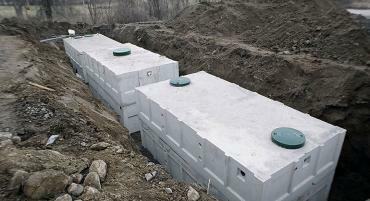 We proudly offer septic tank inspections. Our inspections are essential as we will be able to brief you on, if any safety or maintenance complications, and also ways to care and maintain a septic tank. Having a durable lid is vital. If a lid were to be damaged, unwelcome items can enter your tank, which can end up becoming more costly. Our team can briskly replace the lid. We are here for all commercial and residential pumping and cleaning needs. Our skillful team will search and inspect for any damage and leaks. You will be aware of the damages, we are also here to discuss a plan of action, and inform the owners and homeowners on upkeep tips. Are you having difficulty locating where your septic tank is? Your search is over with JJ Septic Service. Our team will walk the property with top of the line equipment to try and find the tank. Once the lid is located, it is then marked. Our immaculate team is here to give you maintenance tips and answer any questions you may have regarding your septic tank. Our expert team here at JJ Septic Service produces top quality results at a reasonable price. It is imperative to get a regular pumping at least once every two years, as it helps to keep to your septic tank running smoothly and evenly. A riser is placed slightly above, completely level, or below the ground that way you can access your septic system easier. It is all about convenience with the riser. Our team only uses the absolute best equipment and materials, in order to give you sensational results. Why choose JJ Septic Service in Knoxville, Tennessee? We are extraordinarily hard workers and we use our experiences, skills, and training to give you superb results. JJ Septic honors timelines because we understand you have a busy and stressful life as it is, and we will try to get our project done correctly and rapidly. Our team will only use the best equipment and materials. We believe flimsy and cheap materials will only cost you more in the long run. We proudly offer commercial and residential septic tank maintenance and pumping. Here at JJ Septic Service we are licensed and perform everything up to code. We offer many remarkable services to fix, maintain, or clean your tank. We are here for all of your septic system needs. There is no task that is too big or too small that we can’t fix. We produce exquisite results without breaking the bank. JJ septic Service in Knoxville, Tennessee is here for all of your septic system needs. Contact us today!